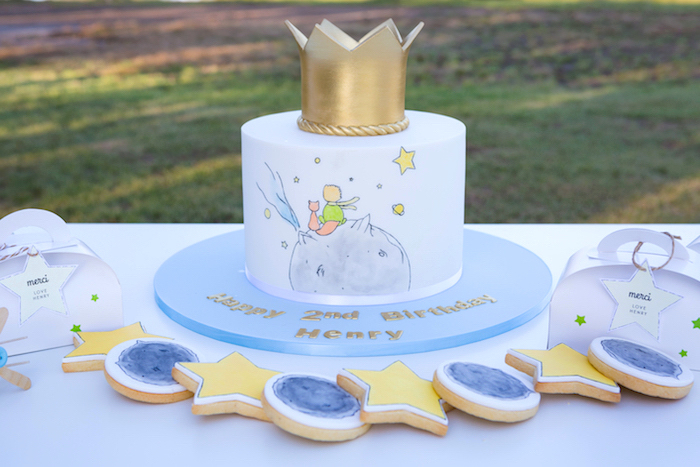 The Little Prince has come to play bringing the stars and Moon with him today! 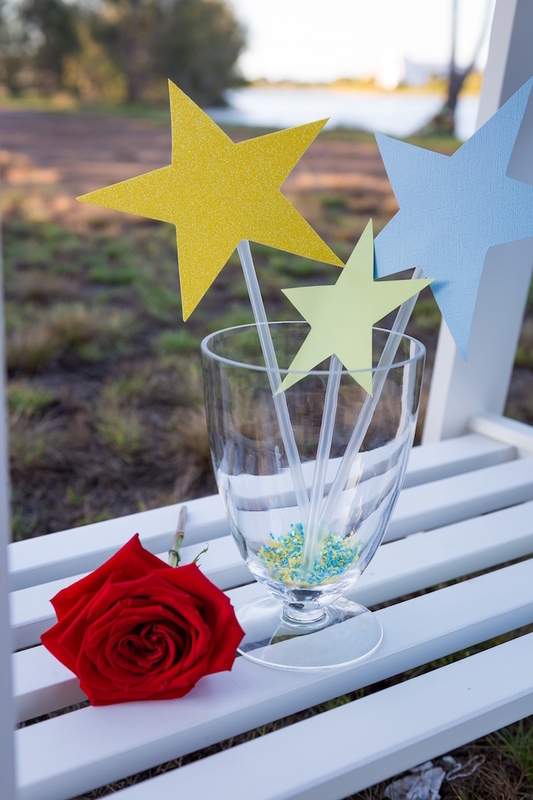 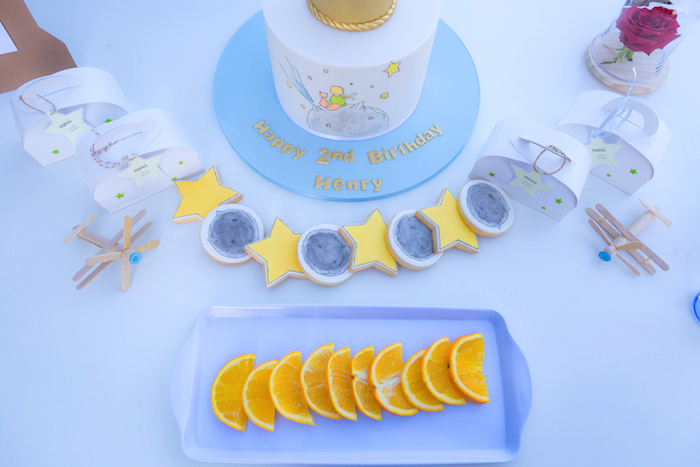 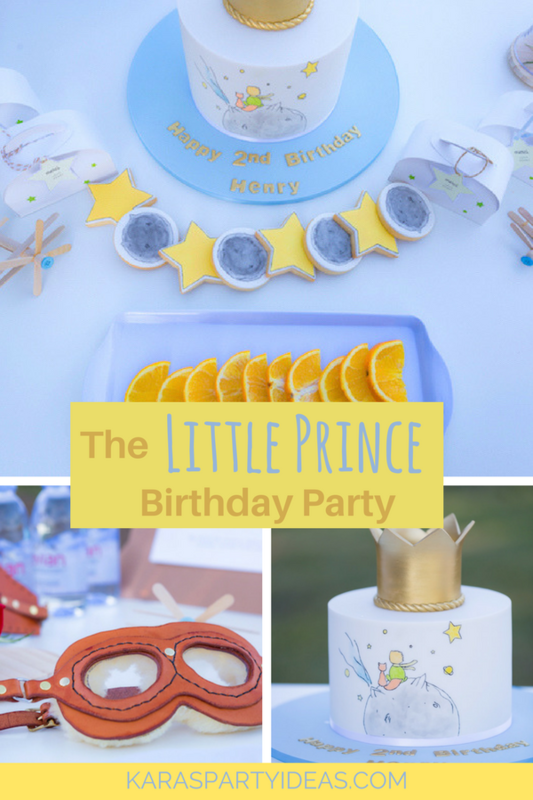 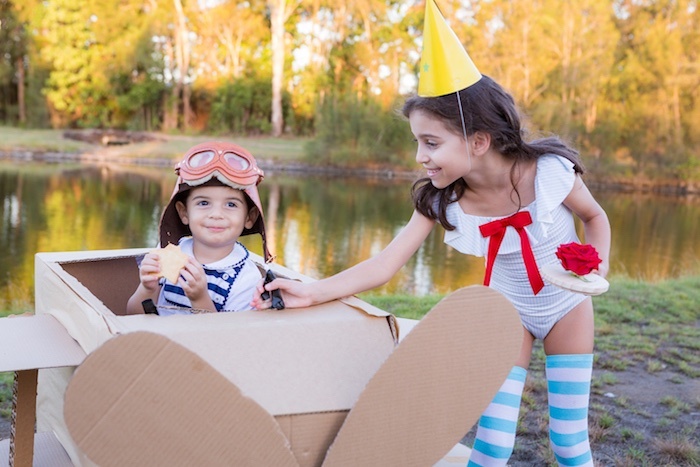 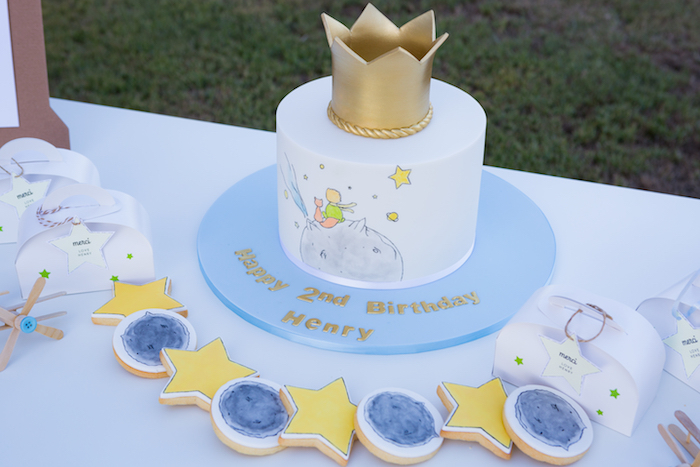 Styled by Lynda Saker out of Gold Coast, Queensland Australia; this Little Prince Birthday Party is full of cute details, certain to make you swoon and sigh! 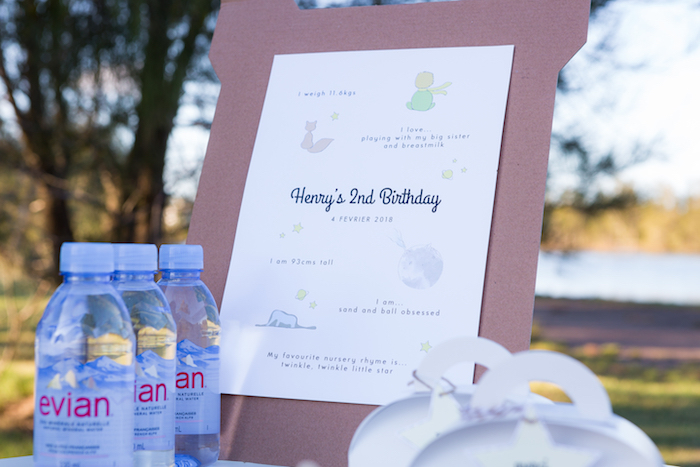 And cute Little Prince Signage! 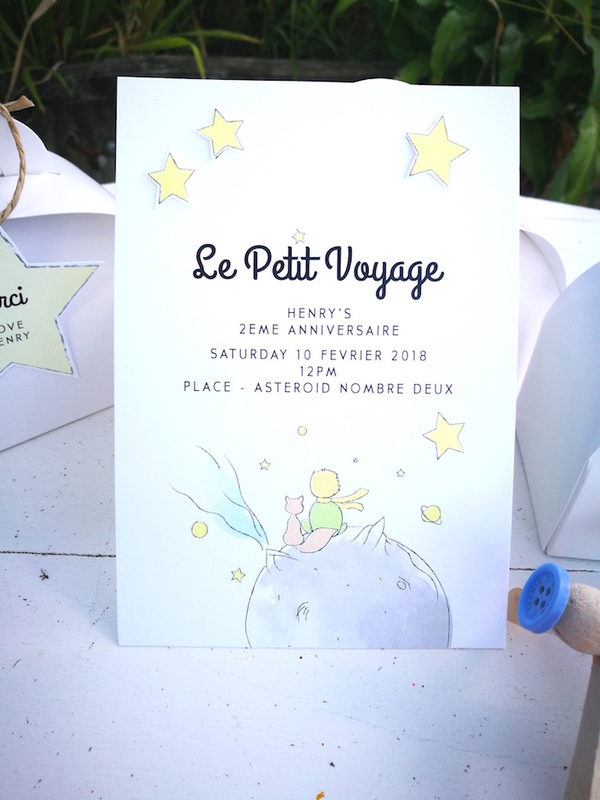 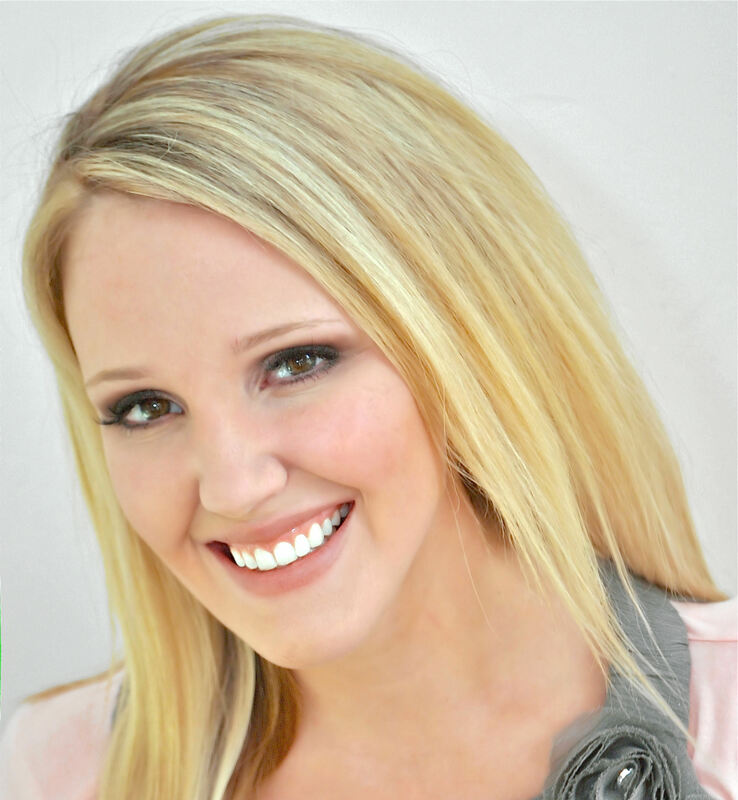 Lynda’s Party Snippet- “We enjoy exploring the wonderful world of classic children’s books, especially at bedtime. 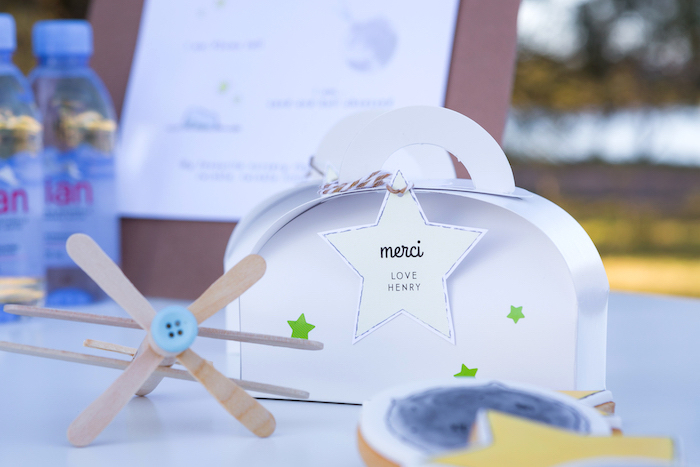 Our love of this golden time is not just about treasuring stories but our little man (me) loves cosy snuggles as we wind down after a busy day. 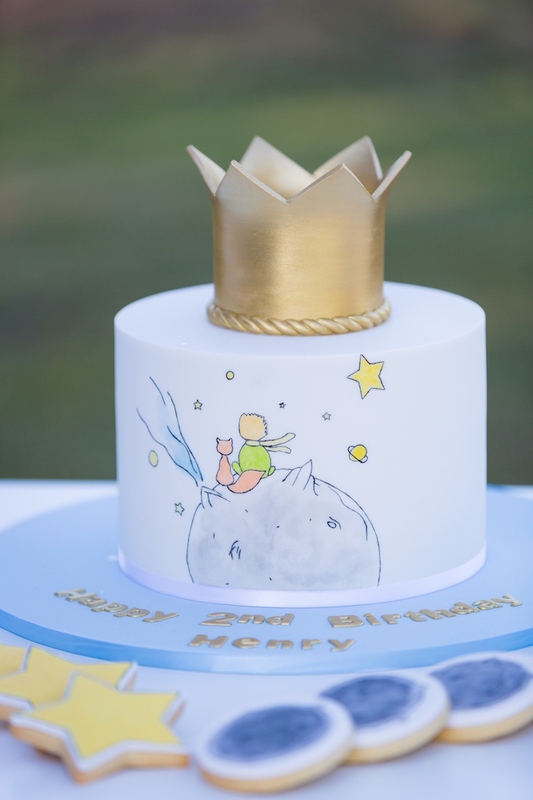 I recently started reading this timeless story to my children and thought it would be a sweet way to celebrate the little prince in our life. 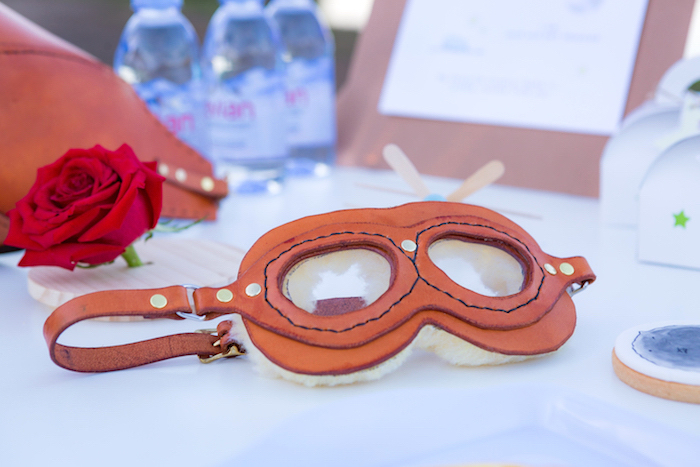 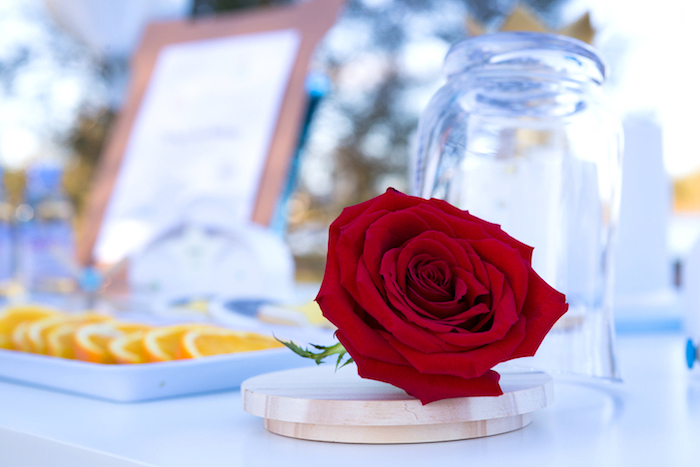 We went with a humble outdoor take on this theme incorporating my love of vintage. 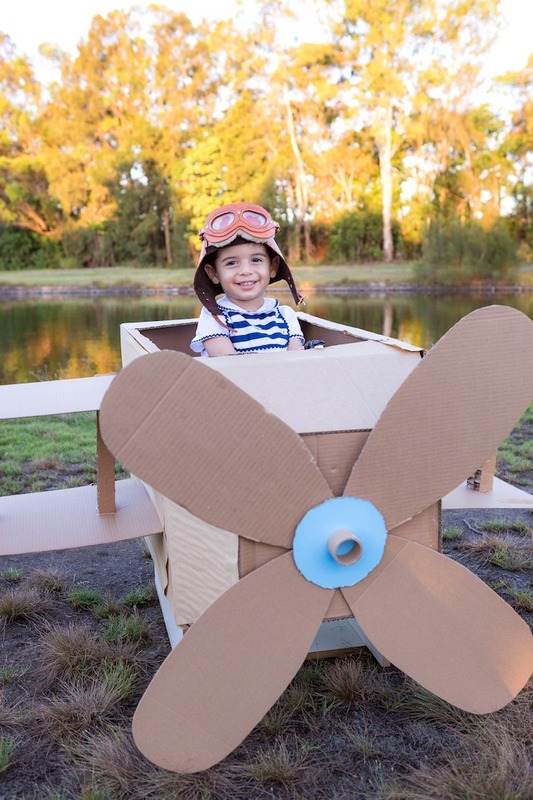 Where possible, we used what we had so lots of DIY elements with the cardboard airplane, small paddle stick airplanes, and star cut outs”.